There are 3 train options when getting round in Italy. We have listed these companies here with a little information about all three of them, including their websites. 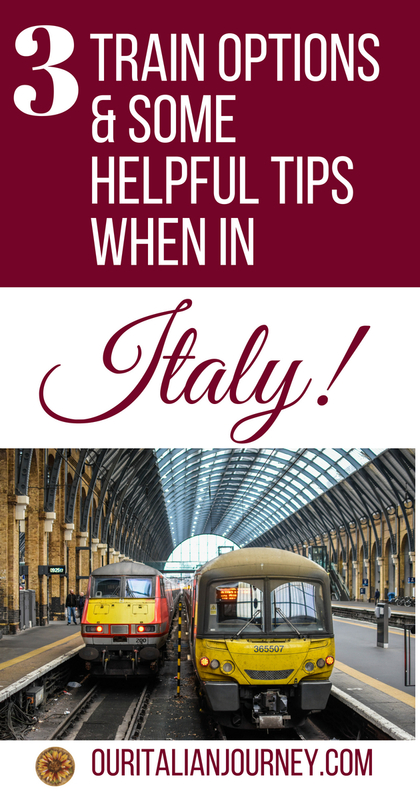 At the end of this post, we have included a few tips we think you will find valuable on your next train trip in Italy. Please let us know if our tips help you, we always like to hear from you! This post contains affiliate links that help keep this website running. Purchasing through our links, we make a small commission at no extra charge to you. Thank you for your support! Trenitalia is the largest train company when in Italy. They have a website in which you can purchase tickets online. The website, http://www.trenitalia.com There are several ways to pay including PayPal! The site is very user-friendly and easy to understand screens. 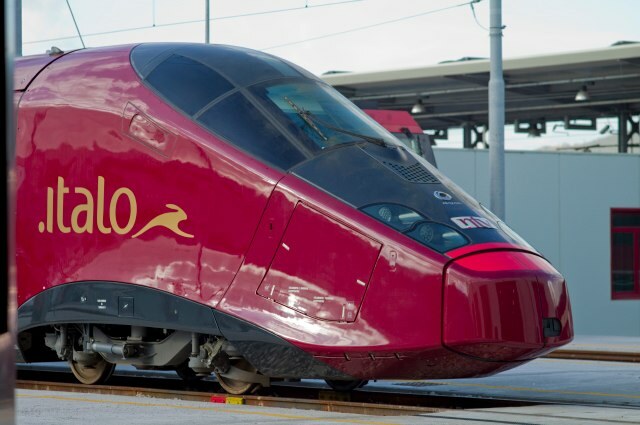 Frecciarossa trains are the highspeed train options reaching a maximum speed of 300 km/h (roughly 187 miles/hour) and obviously offer fast connections at convenient and frequent times. Trenitalia does have regional options as well. You will find better options for travel times because they are the largest company. Remember to double check your date and time before you purchase any tickets. Always take a look at the specials offered. When we were in Italy the last time, they were having weekend specials if you purchased five days ahead of time. I believe it was half-priced if traveling on a weekend and purchased at least 5 days prior to departure. 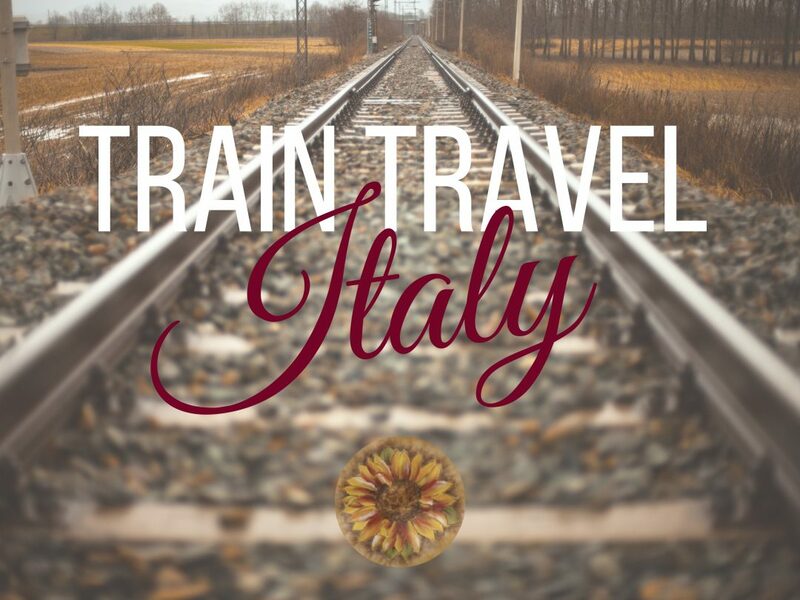 Italo is a privately owned company and only offers high-speed trains between a few select Italian cities. Always check the different train companies before purchasing any tickets especially if you are traveling between major cities. Can You Purchase on Train? If the train station is small, there actually might not be a ticket counter. In this case, immediately when you board the train I would find the conductor and tell him you need to purchase your ticket. There will be a small additional fee for doing so but the consequences of waiting for the conductor to come to you is much greater. There is a large fine when caught traveling on a train without a ticket. You will more than likely have to pay the fare of the entire trip of the train route from where it started to its final destination. That could be very costly! When purchasing any train tickets online, always write down or take a picture with your smartphone of the confirmation code. You may need this later to prove your purchase. Always book as far in advance as you can for best available times and of course, prices! In larger cities, you can go to the counter and purchase your tickets from a real person. Don’t be afraid if you don’t think you speak the language well enough. Most employees at these counters know some English. You will be able to communicate exactly where you want to go. If you find that the station has ticket machines, don’t be afraid to try one. For the longest time we avoided them because we thought they were difficult to use but on the contrary, they are quite easy. They give you clear options on times and costs. These machines accept credit cards and cash. Trenitalia has a website where you can sign up for a Trenitalia card, and subscribe and they send you emails with various offers etc. It is free and worth the time to do it. Thank you so much for your insight and you are absolutely correct that being pro-active when in doubt will always pay off in the end. I’m definitely going to go onto the Trenitalia site and sign up for the card! Thank you for commenting! !